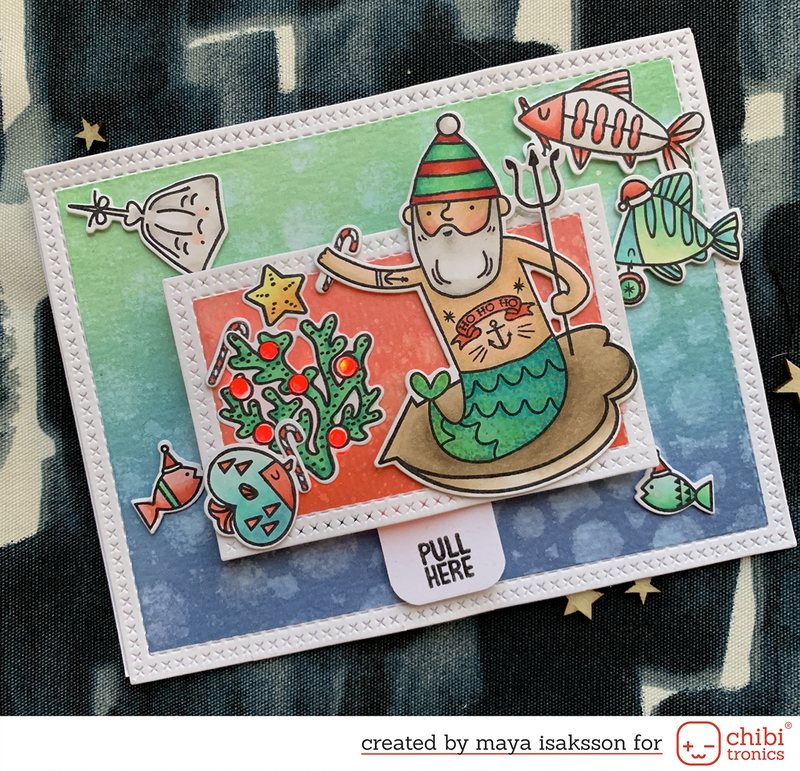 I made this card for En liten butik and it is beyound awesome :) I had this pile of diecuts next to the jar of embossing enamel En liten butik sent me and I was thinking that I wanted to see how it looked on a bigger surface. 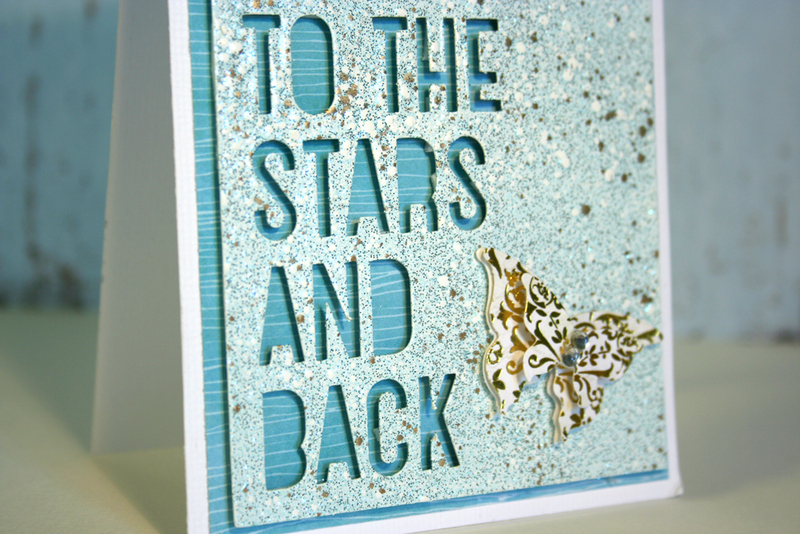 I took a random die cut and covered it two times with shabby blue embossing enamel and heated it up and I was amazed seeing how cool it looked! The pictures does not reflect the glittery awesomeness that is this card. I took pictures right away and sent to my crafty friends who all said oooh and aaah and then I ran up and showed it to my husband who could see my exitement and also said oooh and aaaah because he has learned that when I look that exited coming out of the craft room that is the right thing to do. I still pick it out of the pile of cards and look at it now and again because it is a beautiful card and I just love that enamel. It really should be used on big sufaces like this. This is absolutely beautiful! 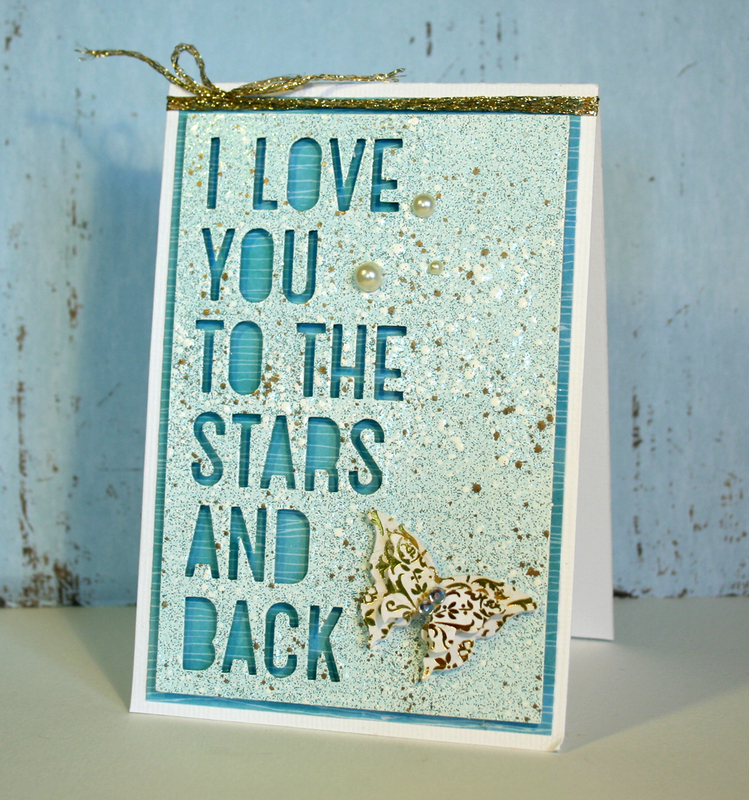 What a terrific idea for using our Embossing Enamels! I am now casting sidelong glances at my Silhouette which I don't have time to play with right now!! LOVE this project! !